One of best things about 4x4s is that they’re fun to tinker with. Like their owners, they’ve got personalities all of their own. Enhancing your vehicle for work or for recreation with a new winch or driving lights can be a smart investment. But, if you decide you want to make a major change to your vehicle, it is important to remember that you get what you pay for. 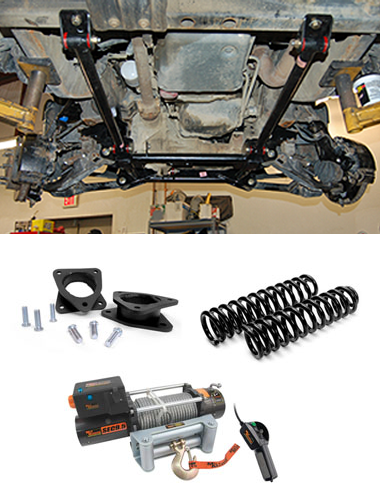 While some lift kits cost less than others, there is generally a very good reason for this price difference. We're happy to help you choose the right products that will help you get where you want to go, within your budget. The 4×4 Center has an in house fabrication and machine shop. We have the tools, the technology, and the talent to get your job done right the first time. Give us a call today and let's get the conversation started!